The number of new cars sold in April fell by almost 20 per cent, compared to the same month in 2016, with the decline blamed on the new VED road tax rates. 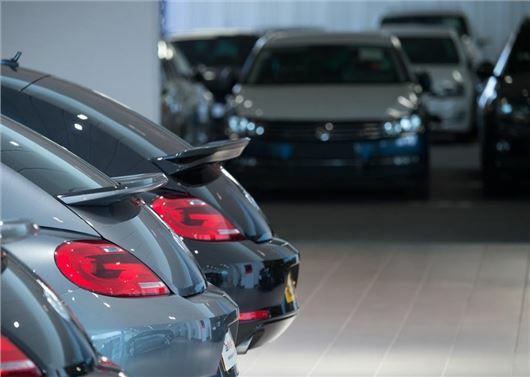 Figures published by the Society of Motor Manufacturers and Traders (SMMT) show that new car registrations experienced its first downturn in 45 months, with 152,076 new cars sold, compared to the 189,505 in April 2016. The SMMT believes the drop in demand is down to the fact that buyers brought forward their purchases to dodge the higher VED rates, with private sales showing the largest decline, with a slump of 28.4 per cent. However, while the news will disappoint carmakers, the overall market remains strong, up 1.1 per cent on 2016. Since the 1 April 2017, all new cars are taxed against three VED bands - zero, standard and premium - with taxation calculated on a combination of emissions and the list price of the vehicle. Research has shown that the changes in the road tax system has added more than £500 to the long-term running costs of Britain’s most-popular and eco-friendly vehicles, while providing significant benefits for some of the most-polluting cars. “With the rush to register new cars and avoid VED tax rises before the end of March, as well as fewer selling days due to the later Easter, April was always going to be much slower"
This means that only cars that emit zero CO2 and cost less than £40,000 new qualify for zero VED. The majority of petrol and diesel cars pay a standard rate of £140 a year, while hybrids are charged £130 per year. As well as new VED bands, the Government has introduced new first year rates, which are calculated on the CO2 emission levels. Most family car buyers will pay between £100 - £160 for the first year rate, while the most polluting cars (255g/km+ of CO2) will pay as much as £2000. There are no changes for cars registered before 1 April 2017, which continue to be taxed against the old CO2 emission rates. “With the rush to register new cars and avoid VED tax rises before the end of March, as well as fewer selling days due to the later Easter, April was always going to be much slower," said Mike Hawes of the SMMT. Is there anything that George Osborne has done that has not been a complete and utter disaster??..... Absolute waste of space he is. It will all come back later in the year as we become accustomed to the new VED regulations.